Wake up that V10 snarl! The phenomenal M5 is choked down with a suppressive exhaust system and muffler. 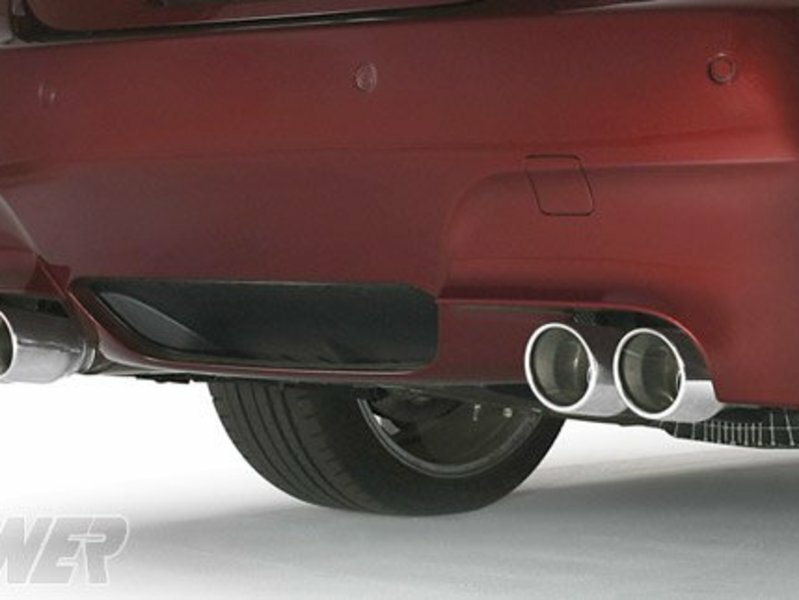 If you want more of that Motorsport voice to come through this Borla cat-back system is all you need. This 100% stainless steel system clamps on after the factory secondary cats and re-uses all of the factory hangers for a perfect fit. 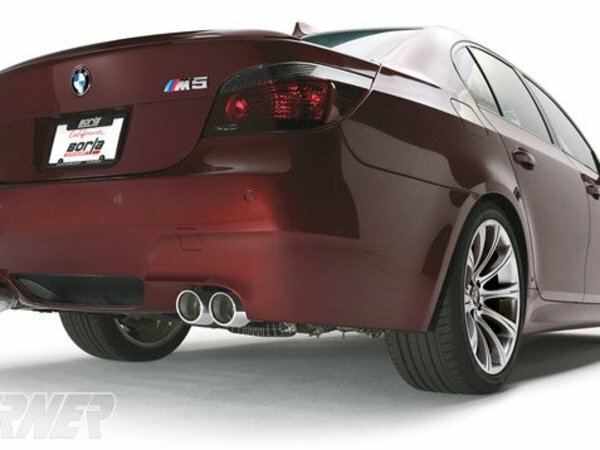 The M5 Borla systems uses two resonators, an x-pipe, and two rear mufflers to produce a tuned sound that perfectly complements the V10. It sounds very 'European' with a ripping, snarling exhaust note that will make other cars take notice. 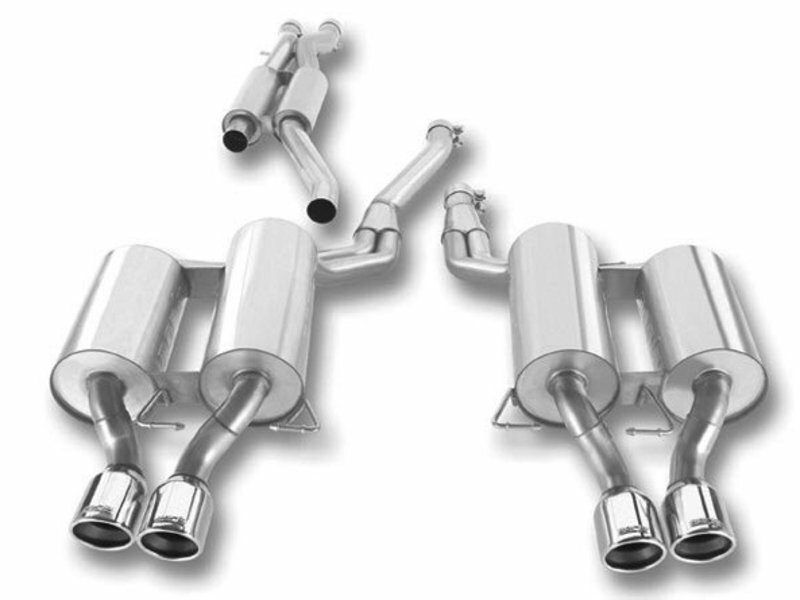 And one of the best things about this system is that it saves a lot of weight compared to the stock exhaust. Less weight = more performance!